Available now on the Amazon Kindle, Barnes & Noble, kobo books, Gardner's (UK), eBookPie, Baker and Taylor, and Apple's ibookstore. I could not put it down. I love books that are fast moving and where I learn something. A great read. I found this book an excellent read. It was a fast past thriller. Characters were highly developed. Settings were amazing. Clearly, this book as well researched. I would recommend this to all. Great e-book to keep poolside or on summer trips. Incorporates world Eco concerns with politics... interesting genre. Detailed and exciting. Enjoyed this book as much if not more than Les`s first two. Holds your attention from page one to the very end. I would highly recommend this book for those who enjoy a fast-moving thriller about the environment and its issues. Les Coalson has done amazing research! I read it in one sitting, it was that good! Thanks Les! AMAZING read! Best thriller I've read in a long time! 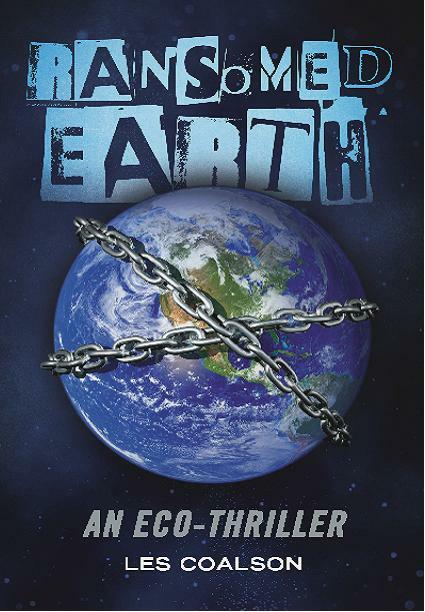 Author really knows environmental issues and brings them to light in this entertaining book. Once you start reading you cannot put it down. Can't wait for his next novel! I found this book to have the action and intensity of a Tom Clancy novel, but with a story that is unique among thrillers. An interesting book that not only keeps you turning pages to the end but is educational! Highly recommend it to anyone who likes a good thriller. Great read! Les Coalson does a great job on incorporating modern day issues into novels that are exciting and educating to read! Coalson is able to bring environmental issues to light in a mystery/thriller that keeps you wanting more until the end. You will not be able to put it down. Coalson continues to surprise and entertain us with his third novel.